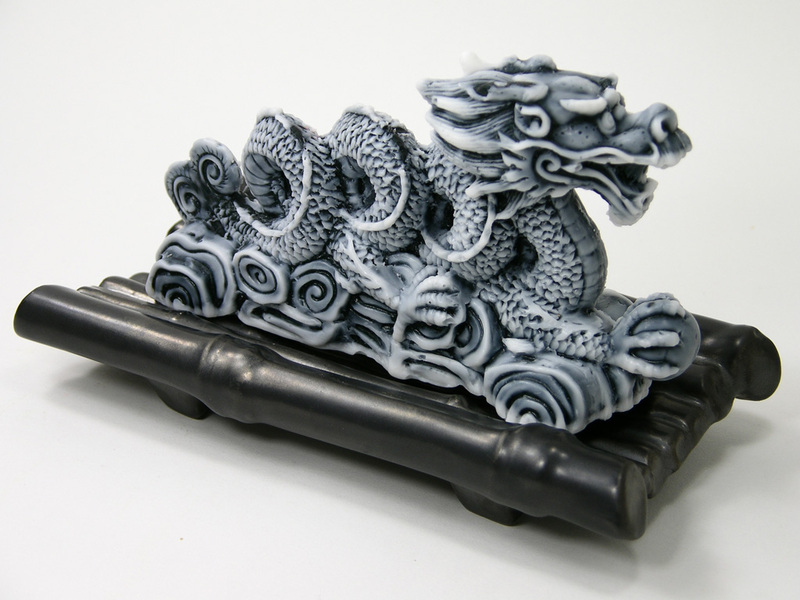 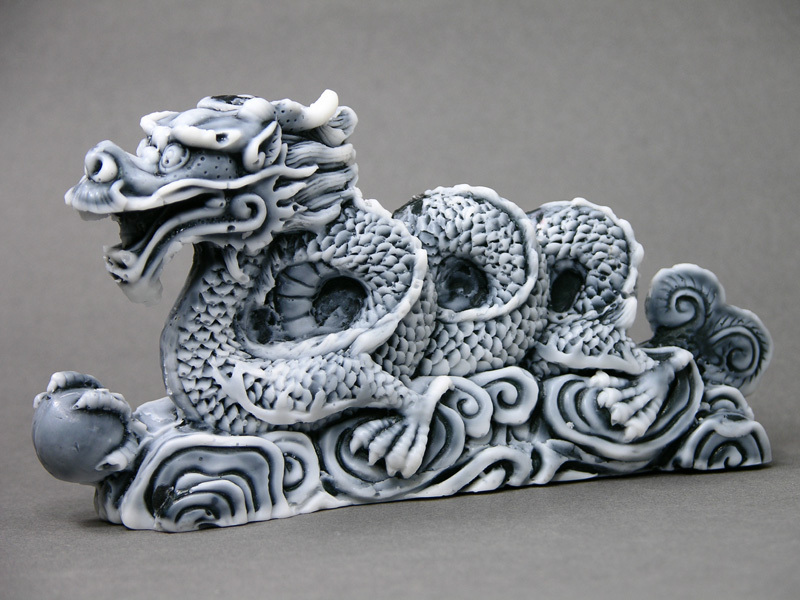 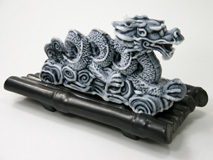 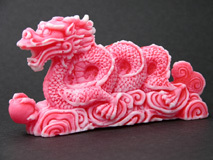 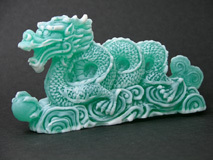 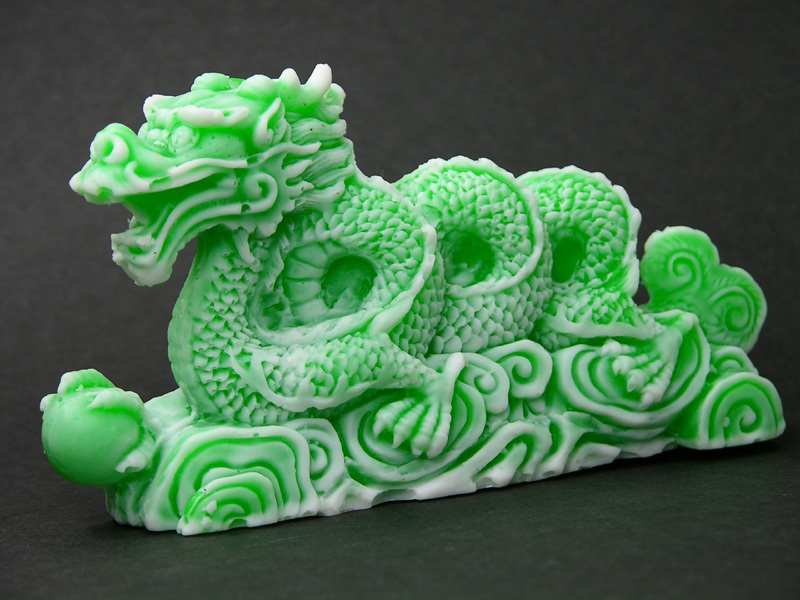 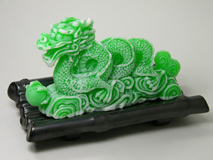 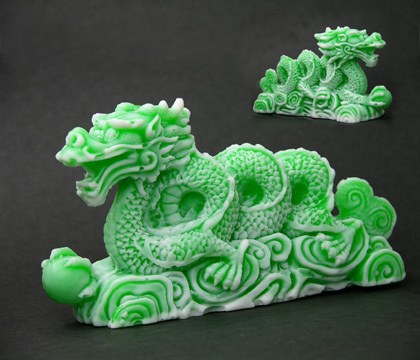 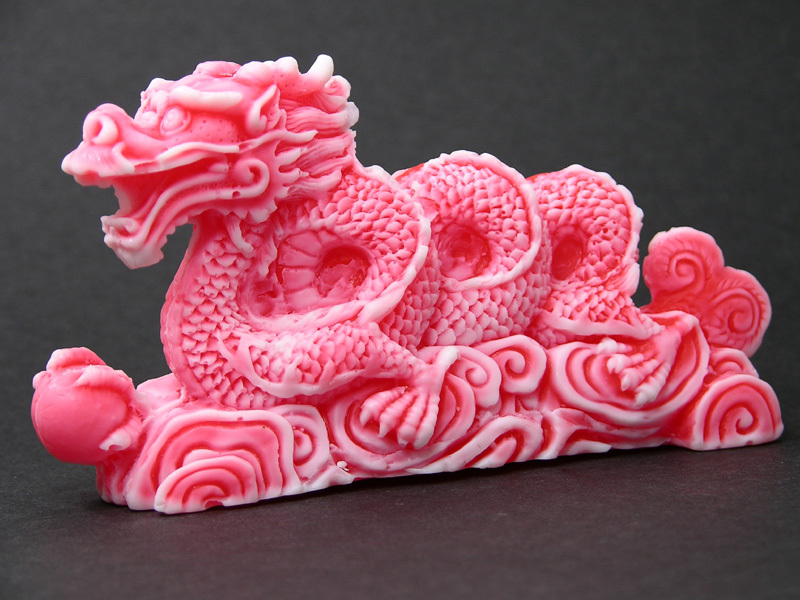 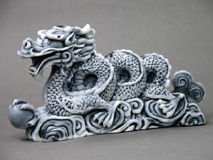 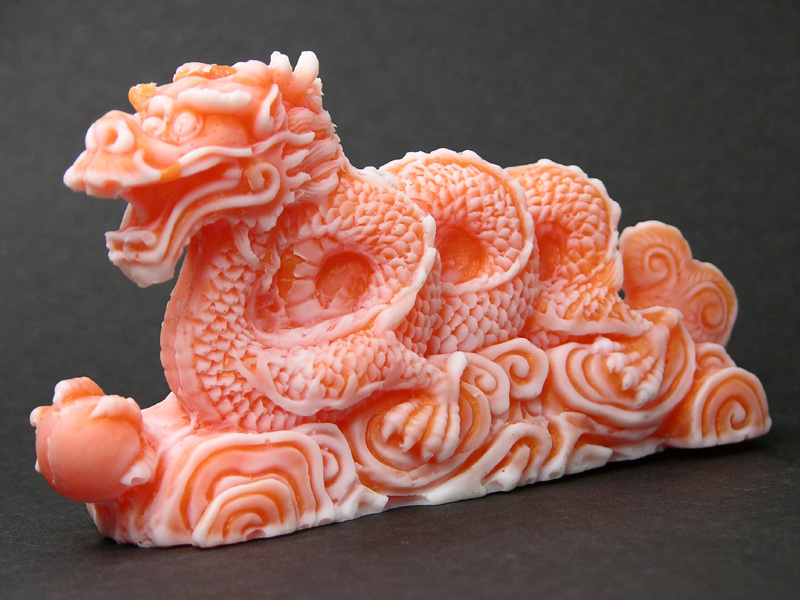 In celebration of the upcoming year of the dragon, we have created soaps modeled after the ancient five clawed Chinese Imperial dragons. 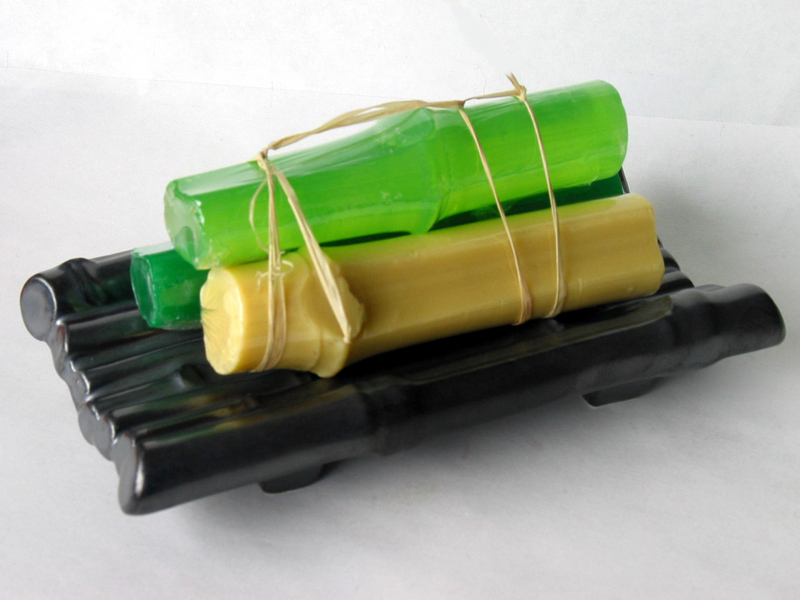 Each beautifully handcrafted soap comes in one of five different scent/colors: Green tea (green), Sea Foam (blue-green), Mango (orange), Asian incense (red), and Musk (frosted black) scent, sitting on ceramic bamboo dish or by themselves for use on your soapdish or as a refill for ours. Net weight 6 oz. 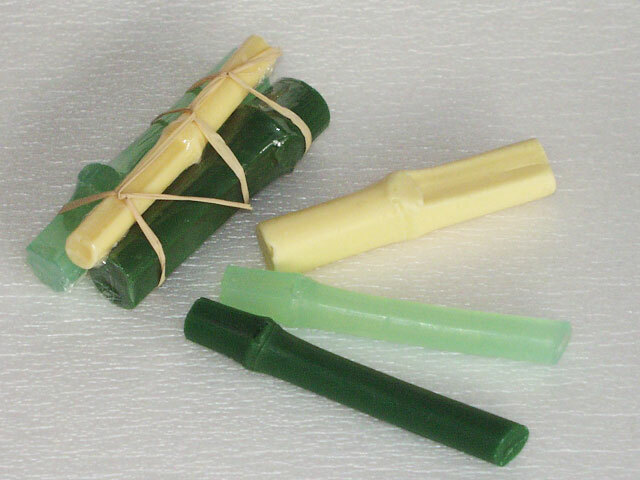 per dragon, 4 oz per bamboo stick set. 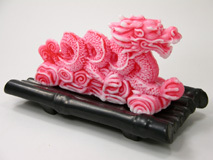 Click on the picture for a close up view (use your browser's 'back' button to return to this page).